Qualcomm's Snapdragon S4 chip may have made a name for itself on smartphones, but the chip manufacturer has plans to bring the S4 to a host of new devices. Qualcomm is introducing four flavors of its S4 chip, the most prominent of which are the Prime and Pro varieties. S4 Prime chips are made specifically for smart TVs to power web browsing and app support. The Prime line includes the MPQ8064, which features a 1.5GHz quad-core CPU, Adreno 320 graphics, and advanced audio video capabilities. Windows devices, from notebooks to tablets and Windows phones, will be designed with the S4 Pro line. S4 Pro features the same Adreno 320 GPU to support higher-resolution displays, as well as hardware acceleration for leading game engines such as Unity and Unreal. 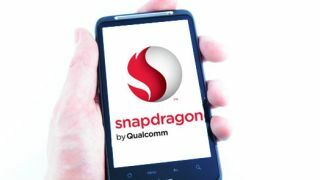 Smartphones will still be the core of the Snapdragon S4 chipset through the final two versions, S4 Plus and Play. S4 Plus chips can cast a wide net, powering basic handsets to high-end smartphones. What makes them stand out is software support from Qualcomm to help manufacturers easily implement new features for multimedia playback, cameras, security, and power management. Meanwhile, S4 Play features dual-core CPUs up to 1.2GHz coupled with hardware and software support to help manufacturers easily transition from S1 chipsets to S4 in more basic smartphones. Qualcomm's S4 chipset has popped up more recently, such as in the Samsung Galaxy S3. The firm even recently struggled to keep up with demand for Snapdragon S4 chips. Facing stiff competition from Nvidia's Tegra 3 chips, Qualcomm is hoping the four new lines of Snapdragon S4 CPUs can help it win back the market.